"Professional Disco And Karaoke. Choose The Knight!" The Boogie Knight - Quality, affordable mobile disco and Karaoke. We cover all events including weddings, birthdays, kids' parties, engagements, festive fun, corporate events and much more. We're as experienced working in social clubs or marques as we are in castles or football stadiums and we'll liaise with staff to ensure your event proceeds smoothly and to schedule. Music is wide ranging we're as happy catering for 60s or 70s themed nights as we are focusing on modern chart music or hits from the 80s/90s. We believe in tailoring events to our clients; it's your event so let's create the perfect playlist together. - Back up equipment to help ensure your event proceeds as planned. - Experienced, smart DJs who are happy to deliver announcements or prepared speeches. - Professional karaoke with all the classics! - Party games for children (or adults!) including all of the usual suspects! - Projectors allowing the playback of music videos or prepared images/videos for your function. - Video/audio recording allowing those special moments to be recorded, edited and delivered to your door. Required by many venues, The Boogie Knight has a current PLI policy with AMP DJ in the amount of £10 million. Also required by many venues, The Boogie Knight has supplied satisfactory evidence of holding current PAT inspections of their equipment dated within the last 12 months. A Method Statement outlining The Boogie Knight&apos;s Health & Safety procedure for setting up disco equipment has been provided. The Boogie Knight has provided Risk Assessments undertaken at events sourced via needadisco.com, indicating that they can undertake these competently. Why do people choose to book The Boogie Knight? He sounded just what we needed for our Xmas party and having spoken to him this initial thought was confirmed. Very pleasant to talk to. Pictures of events very good and reasonable price. "We had great night .but expected dj to use Mike a lot more ie saying what songs were coming up and trying to get people up dancing"
"Thank you Kris for making the party so brilliant. Everyone enjoyed themselves and your music was just right." "Wow what a fantastic night! All the best to you all and I'd be delighted to come back to the Garden Centre anytime!" "Really good. Exactly what we wanted great communication "
"Thanks so much for the lovely comments. Really did have a lovely afternoon!" "Fabulous DJ, I would highly recommend!" "Thank you! Had a great (and fun) time at the Manor. You lot really made me feel welcome and I'd be delighted to do any functions you need in future! All the best!" "Absolutely amazing Do! Friendly and helpful with the most amazing equipment and perfect song choices! Wouldn't use anyone else now!" "Delighted to be of service to you all. Was a great party and it would be pleasure to do any future functions you have. Please stay in touch! :)"
"Would definitely recommend Kris to friends and family. Everyone commented on the setup and loved the photo booth. Thanks again Kris "
"Thank you so much! It was a lovely evening in a lovely venue with a great bunch of people who knew how to party! I wish you both all the very best for the future and I look forward to doing your anniversary celebration!" "Brilliant DJ, arrived nice and early to set up then left till the disco started so he didn't get in the way of the event setting up. Listened to our needs and put on a brilliant show. Very accommodating and gentlemanly poor bloke had to wait ages to leave as the bar were using the lift and he made no complaints. Would use again and recommend to anyone "
"Hi! Thanks for the lovely feedback. I really had a great time and enjoyed the banter with your guests too. I'd happily do a part for you anytime and I wish you both all the best wishes for the future." "Kris was fantastic my birthday was such a great night thanks to him! Did not want it to end! Great equipment! Could not fault anything! Will definitely be recommending to friends and family. " "Hi there! I had a lovely night with a great bunch of people. 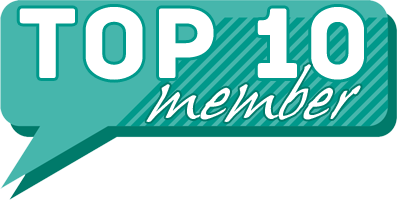 Anytime you need another let me know; it was an absolute pleasure!" "What a fantastic night we had and what a lovely, lovely bunch of friends you have. Thank you so much for a great party!" "Kris was great! He provided wonderful equipment and played a great selection of party music. Everyone had a brilliant time and commented how good the music was. We would definitely book Kris again and recommend him to others." "I'm delighted you all had a great night! It was a fantastic party and it was a pleasure staying back a bit later and doing some Karaoke with you all! All the best, Kris! x"
"Kris was really professional, with good quality equipment and interacted with the audience and staff a lot. He played the children's requests and provided fun games to keep them entertained. The feedback from parents has been very positive, with the bulk of comments from the children being that they were sad it was over so quickly. We would definitely hire Kris again." "I had a fantastic time. Thank you so much for choosing us to do your party. I'd love to come back sometime!" "Kris was great! Didn't get tired of playing my daughters favourite song even tho I'm sure it was played at least 5 times! Would definitely recommend and even a few of the other parents have asked for his details. Brilliant day throughout 😊"
"Was a total pleasure playing at her party .A lovely afternoon for a fantastic crowd. Thanks !!" "Had a great night. Kris was brilliant and everyone who came really enjoyed it! Will definitely be using again!" "What a fantastic night with a brilliant bunch of people. I loved every minute of the night and it just flew over!" 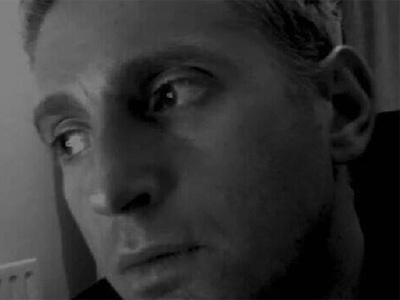 "This disco/do was spot on and I WOULD RECCOMEND HIM"
"Thank you so much for the kind words. It was a great party and a pleasure to supply your disco!" 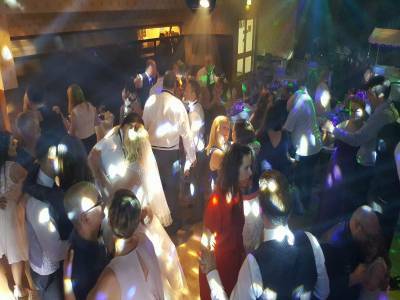 "Was a great day and the dj was brilliant and would defo recommend or use again with out a doubt"
"Just wanted to add that I'm delighted you had a great night. You were a lovely bunch of people and it was an absolute pleasure to supply your entertainment!" "Really pleased with the service, had a brilliant day for my daughter, all complimented the dj, couldn\'t have really asked for much more especially for the price, played all the up to date songs, as well as the older party favourites, up to date system, good with the kids, got them to join the games with ease. Thanks again!" "Hi there. Just wanted to add that I'm delighted you had a great day and it would be an absolutely pleasure to do any other events you have coming up. All the best!" 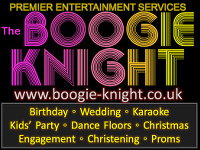 The Boogie Knight also offers a range of additional party services not directly linked to musical entertainment. Get FREE no-obligation disco quotes from The Boogie Knight and other DJs covering your venue. Take 2 minutes to fill in some basic details and we'll do the rest! For the best night, book the BOOGIE KNIGHT!! If you are contacting The Boogie Knight about an event, it's always a good idea to include the DATE, LOCATION, EVENT TYPE, AGE GROUP and TIMINGS to speed things up!